GAMBLING in Maryland Part 2: This is the last part of a four-day series by Capital News Service examining how Maryland uses gambling to raise revenues. The residents of Westport, a worn-down Baltimore neighborhood dwarfed by the elevated highways that run over it, say they’ve always felt ignored. Industry and jobs have moved out. People moved away. And blocks have been crumbling for decades. 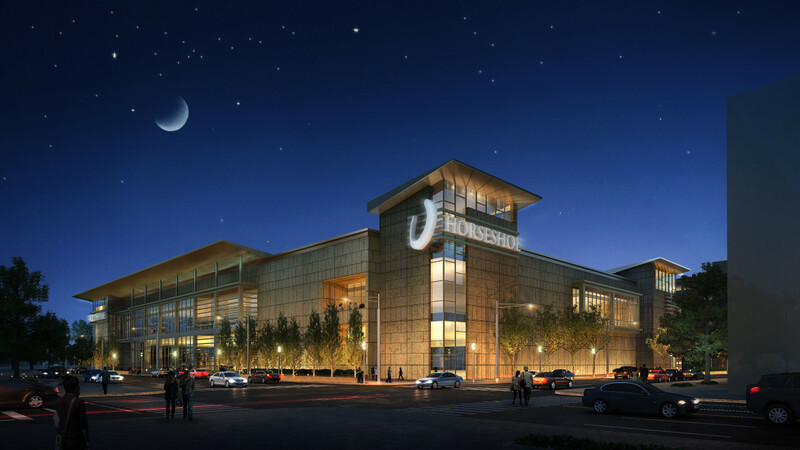 Now, the sleek stone-and-glass Horseshoe Casino is rising at the edge of Westport, just south of Baltimore’s stadiums. And Westport, like other neighborhoods that surround the casino, will share in millions of dollars every year for community improvements — a part of the state’s cut of gambling revenues. That’s good news, Westport residents say. But gambling, they caution, hasn’t saved other cities. Still, many neighborhood residents see the casino funds as a chance to fix streets, improve housing, and even create jobs — all things that they say the city has not provided enough help with. “This neighborhood has so much potential,” said Rebecca Carver, who lives in Westport. The communities near the Horseshoe Casino will receive about $10 million in “local impact grants” beginning July 1, the first fiscal year in which Baltimore’s casino will be open. The grants are based in state law, which requires 5.5 percent of slots revenue be returned to surrounding neighborhoods. The grants are meant to compensate for the added trash, traffic and wear that casino visitors will create. The Baltimore Casino Local Development Council, made up of neighborhood representatives, elected officials and a Horseshoe delegate, set priorities for how to spend the money, projects that must be approved by the mayor. In the first year, the casino money will pay for a variety of requests, including more police officers in the area, widening of streets, an employment program and tree planting. But the neighborhoods that will benefit range from affluent to poor. And their priorities for spending the money sometimes differ. Ranking the requests has been “a challenge,” said state Sen. Bill Ferguson, D-46th District, who chairs the council. Residents of Federal Hill, with its elegant brick townhouses, and other well-off South Baltimore neighborhoods are concerned about increased traffic and trash. “Most of the people who work in the city don’t live in the city,” said Debby Steplock, a resident of Riverside. “And us who live in the city have to put up with all of the trash and the wear and tear on all the roads. It comes out of our pockets,” she said. Westport wants extra money for trash and traffic too. But now that the community is getting some attention — after years of “just being ignored,” the neighborhood association president says — Westport has a longer list of needs. Allen wants some of the casino funds to help rehabilitate vacant housing, fix roads, and create jobs. While the median price of homes sold in Baltimore was $135,000 in 2012, Westport lagged behind at $52,900. The neighborhood’s crime rate and unemployment rate exceed those for the city as a whole. She said the neighborhood, already in decline, suffered more after the Carr Lowrey Glass Co., a 114-year-old glass-making factory that employed about 250 people, closed in 2003. “Westport’s priority has been jobs, jobs, jobs,” said Del. Luke Clippinger, D-46th District, community and economic development chair for the casino development council. Westport’s desire to recover some jobs is reflected in the council’s first-year plan for spending the impact money. The plan includes funding for an employment center — with computer training, coaching for interviews and connections with employers — and for a study that will examine the skills and education level of residents in the casino area, to plan for future job training. Zane Kolnik, a Westport resident, said he doesn’t think the casino can fill many jobs with neighborhood people because the population has dwindled so much. But he hopes people who get casino jobs will move into the neighborhood to be close to work and help fill some of Westport’s vacant housing. Some Westport businesses worry that the casino will cost them money. Eric Jhang, a 10-year employee of Westport Liquor & Grocery Store, predicts a decrease in the store’s lottery sales. Residents, he said, might prefer spending hours at the casino — with its air conditioning in the heat of the summer and other amenities — to visiting the corner store. Crime is a continuing concern. In December, a sedan service driver was shot dead as he picked up a customer there, and some taxi companies now won’t take fares to Westport at night. Casino money in the first year will provide 10 more police officers, three police sergeants and three new patrol cars to deal with the influx of gambling customers. But Allen says she and her neighbors have long needed help in combating crime. And some residents worry that the attention they are finally receiving will boost rents. A few years ago, a developer proposed a massive project on the Westport waterfront that would have included thousands of homes, hotels and retail space. City officials hailed the plan, which would have remade an old industrial area — but the $1.4 billion project went into bankruptcy before it was begun.